We are delighted to announce that Frasers of Falkirk and MG have teamed up with Camelon Juniors FC to become the principal sponsor for the next three seasons. This means that Frasers MG will be the home shirt sponsor for the new kit and they will also have advertising boards at Carmuirs Park, along with some MG3 and MG6 models present at all home games starting with Wednesday nights visit of Linlithgow Rose. The game against Livingston Utd on 04/08/2015 has been postponed. If you know anyone who is intending to go could you please let them Know. Season tickets for the 2015/2016 season are now on sale. You can get one through the Web site or forum or from any committee member. Just to clear up any confusion. The guy from Little Kerse isn't taking over at Camelon. John and Martin are fully committed to Camelon for next season. 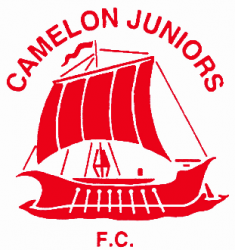 There is a public meeting in Camelon Juniors Social Club on Wednesday June 3rd at 7:30pm. Anyone with thoughts. views or opinions on the future development of our football club are more than welcome to attend. If you know of anyone who doesn't have access to social media please feel free to ask them along. I thought it was a typical end of season meaningless game. To be fair nobody could complain if it ended 1-1. It was never a dive therefore not a booking or a sending off. I don't agree that the Rose controlled the game but they were always in it with a chance right til the death. The semi finals of the Fife & Lothians should be interesting. Kevin Kelbie is a fantastic striker. We would take him back in a minute. At Camelon we are more forgiving than the Rose fans. If you go through a bad patch (as strikers do) you don't get as much stick.when he played for us he had Scifo who was a perfect foil for him and did a lot of the donkey work. I can't see anyone at the Rose doing the same. You don't score 37 times in a season if you are a bad player. His goal against Sauchie in the Scottish cup last season was top drawer. I removed the post because I felt t it was harming the club. Tags has made it clear that he is definitely leaving at the end of the season. Who is coming in I don't know. All I can say for sure is I won't be one of them. Im not blaming the ref. I agree Dunbar more than matched us and credit goes to them but I believe the result was due to Camelon's display. When we went 2 1 up we should have kicked on and got the third but we didn't. For me the ref was a complete joke. The first pen was a stonewall free kick to Camelon as Benton was pushed in the back and to take the penalties up the empty end of the ground was a disgrace. If it was because of the sun it would have been the same for both keepers.